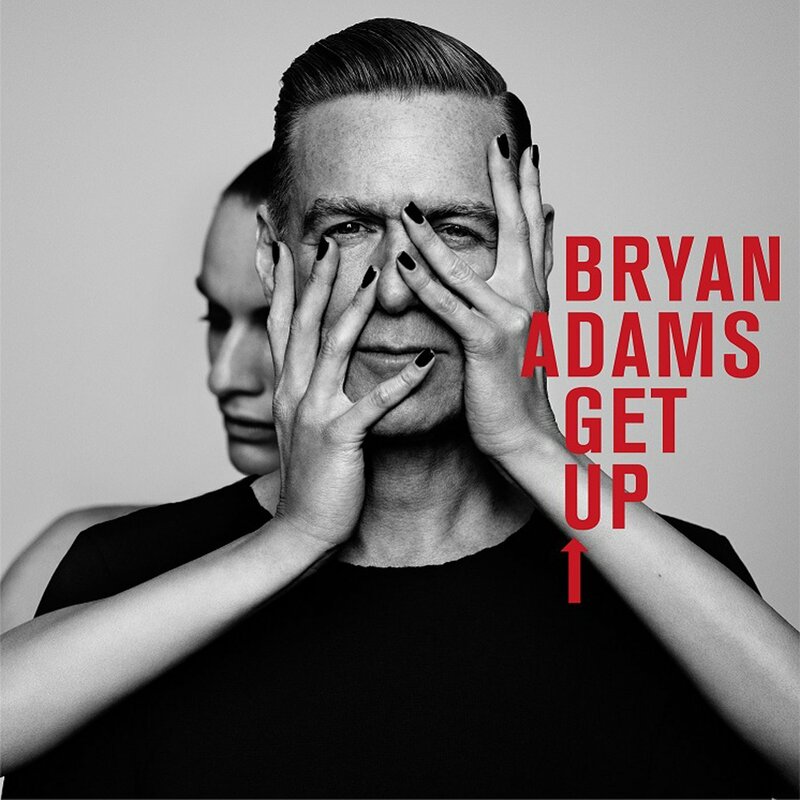 Rock & Metal 4 You: CD-Review: Bryan Adams - "Get Up"
CD-Review: Bryan Adams - "Get Up"
This October marks the return of some true Rock legends. Not only Def Leppard are back with an album full of new songs, also Canadian Rock superstar Bryan Adams presents us a new album with completely new material. It took him seven long years to record some new original songs. In the meantime he did also some live shows, a remastered version of his classic "Reckless" and a cover album, but fans had to wait a very long time for something new. And what they get with "Get Up" is not really what they might have expected. I'll tell you why. In the first place "Get Up" is a big homage to Rock'n'Roll music of the 50's/60's. And this is no wonder if you take a look at the credits. No other than Jeff Lynne, who has worked with The Beatles, produced this record and so it sounds like something that could have been released 50 years ago. Yes, this album sounds so oldschool, but in charming fashion. It's definitely different and not something you would expect from Adams. So if you are a fan of the 80's/early 90's Bryan Adams stuff you won't be so satisfied, as well as the fans of "11" and "Room Service" - this kind of more modern Adams doesn't shine through the new songs. "Get Up" starts with "You Belong To Me" in great Rockabilly fashion, this is a little fun Rocker that captures the feeling of sitting in a bar with an old jukebox perfectly. Also the next few songs represent the Rock'n'Roll of the specific era I mentioned above. Especially "Go Down Rockin'" and the more calm "We Did It All" are very enjoyable to listen to, but also the other songs have something special and nostalgic to offer. Just "Thunderbolt" wasn't really my cup of tea. That one sounds a bit too generic. 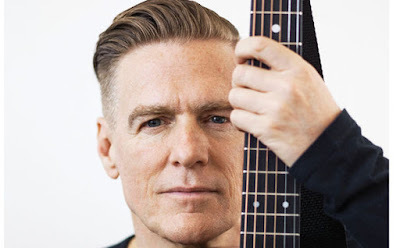 With the last track "Brand New Day" Bryan Adams presents us a song, that sounds a bit more like traditional Bryan Adams of recent years and it is a perfect conclusion for this album. All songs are very catchy, but this one is an awesome earworm. I love it. I think Metalheads won't read this review, but if someone does: of course we don't talk from Hard Rock or Metal here. It's just oldschool Rock'n'Roll played with passion and some kind of lightness I didn't expect from Bryan Adams anymore. He sounds still awesome and his band is also doing a very solid job. It seems like one big jam session and that's fun. But there is something I really have to complain about: the running time of this album. With just nine new songs on it it has a playtime of 25 minutes. 25 minutes after seven years is simply not enough - not for a living legend like Bryan Adams! That's not value for money. This could have been an EP, but it is sold with full LP price. So here I have to pull off one point in my final rating. And before some people start to complain: yes, there are 13 tracks on this album, but four of them are just acoustic versions from the same new songs - and that doesn't count. The worst thing is that the PR department wants us to believe that those acoustic versions are a true highlight for fans. When will they ever learn that acoustic or instrumental versions of already existing songs on the same CD aren't a replacement for new original tunes. They are not! All in all "Get Up" is a fine, refreshing album from Bryan Adams, that sounds very organic. 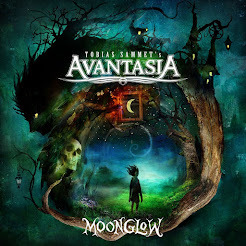 I can understand if longtime fans expected something different and don't like this one, but I loved the fact that it is not traditional Adams stuff . People, who are a bit open minded and have a sense for 60's Rock'n'Roll will enjoy "Get Up". Nevertheless I just can recommend you to wait with your order until the price falls a bit. Don't buy it at full price! Especially not the Deluxe edition which is even more expensive. Now hopefully we don't have to wait another seven years for the next record. I am always blown up by songs of Bryan Adam. . I Love this song he has a very nice voice. CD-Review: Def Leppard - "Def Leppard"
CD-Review: Pleasure Addiction - "Extra Balls"